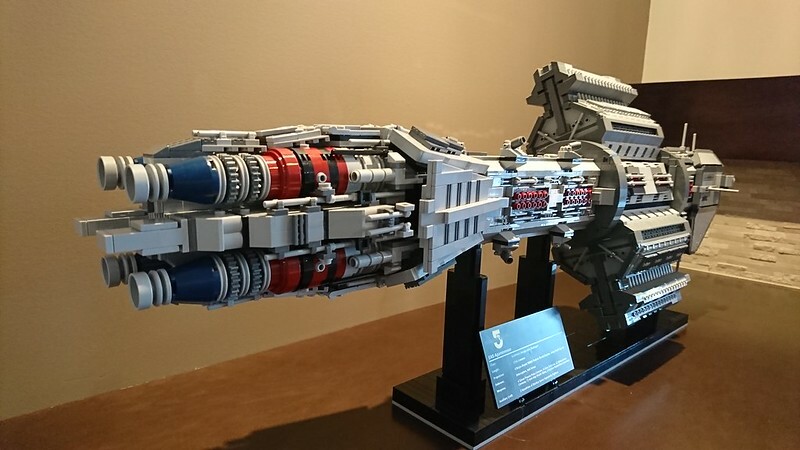 During SHIPtember 2016, Ryan Olsen created a SHIP based on Babylon 5 - the EAS Agamemnon. 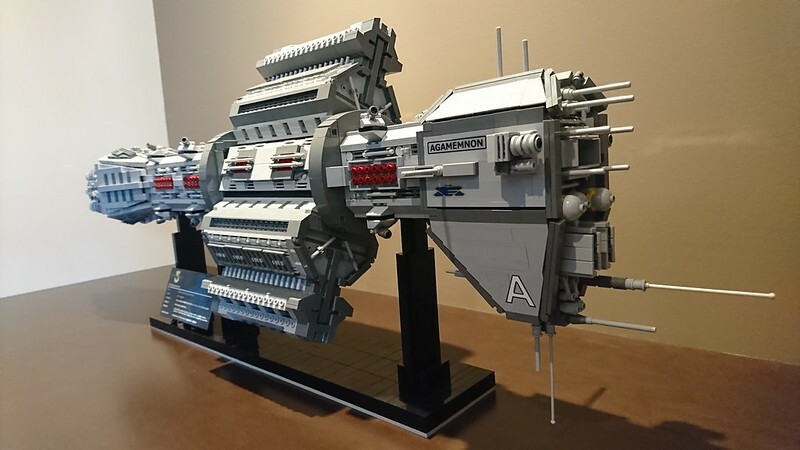 I stumbled across it at the time thanks to some Lego blogs, and at the end of the year decided to build one for myself. More pics including renders and WIP pics in my Flickr album. Two Word documents with images intended for printing on clear or white-backed sticker sheets are in my Bricksafe folder, along with the LDD file. There's one bit of reinforcement for the rings in a Flickr WIP pic that's not in the LDD file, so check that (well, all of them) out! If you build it, have a whole lot of fun, and share pics!